I keep a tiny notebook where I jot down ideas for future blog posts. Apparently I need to include more explanation when writing these notes, because when I flip through the notebook, looking for inspiration, I instead find bizarre, hastily-dashed observations that make me question my own sanity. 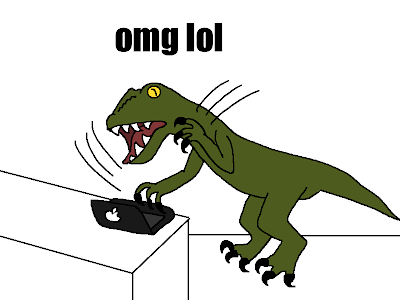 For example, at some point I took a moment to scribble, "It's hard to write a blog when you're a velociraptor." I have no idea what prompted that, although upon reflection, a velociraptor probably would find blogging difficult. On another occasion, I noted, "I almost bought a bag of marshmallows because it was lying on the floor and I felt sorry for it." That is exactly the sort of thing I would do, but I can't imagine how I intended to turn that into a full-fledged blog post. 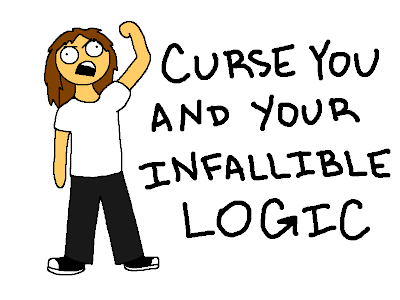 I also found a tiny, rough sketch of myself, holding a fist aloft and exclaiming, "CURSE YOU AND YOUR INFALLIBLE LOGIC." What infallible logic was I cursing? It will remain forever a mystery. But I drew it anyway. From now on, I'll make my notes more clear so that you don't miss out on any more of these obviously brilliant ideas. Hahaha! Very funny! It is almost like having to walk out and back into a room to remember what it was you were after! It really is like that, except the room is my brain and I can't escape. I don that all the time. I'm still trying to figure out what Purple seven grace means. Something epic I'm sure. Purple Seven Grace sounds like a really epic band name. I'd hate to miss any, especially if they came with cartoons!! I think there should also be an inspringable, but not an inwinterable and most like no need for an insummerable. Someone might say, "Insummerable? What do you mean insummerable? I most certainly can add all those numbers together, they are not insummerable". HopefuLLy there wiLL neVer be an inautumnable. Most numbers are insummerable to me. I get told that SO often! 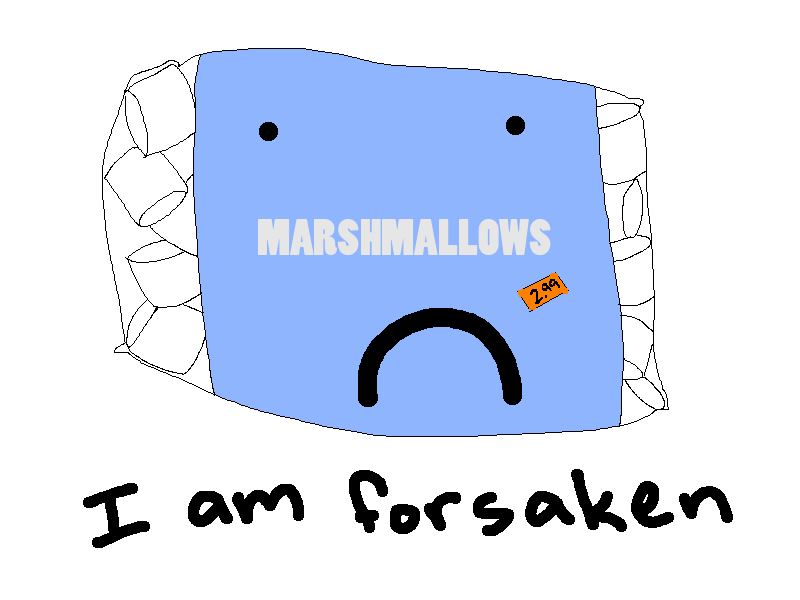 I blame the stress of having a blog and illustrating a book and having a part-time job. My poor, poor brain. I was thinking of the velociraptor as a boy when I drew him. I need to draw a girl one with pink manicured talons.